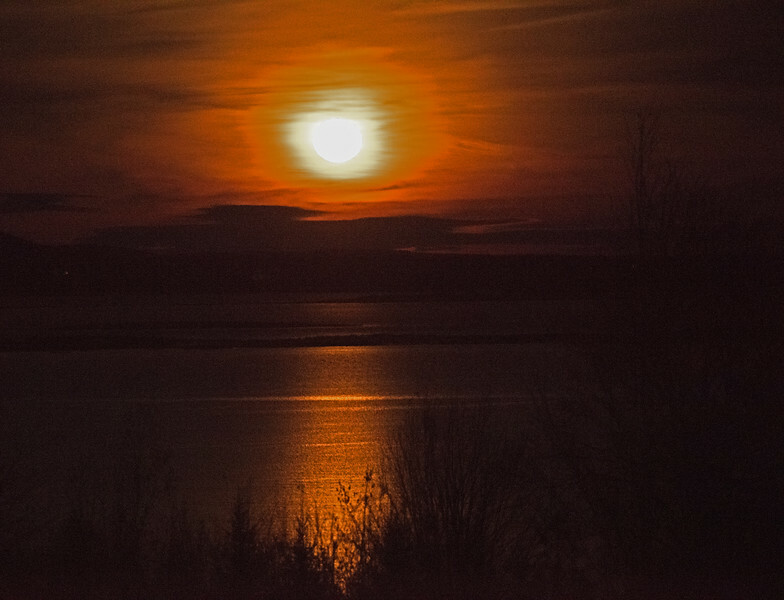 Last night’s “Beaver Moon” arose from behind the wooded darkness of Acadia National Park, set fire to some of the lowest layers of cloud, and sent a glowing beacon to us across the ripples of Blue Hill Bay. The moon was so bright in its early stages that it looked like a hole seared into our galaxy, a tunnel to eternity. When it escaped the lower clouds, it became a moon in a caldron. It also was huge and virtually full Thursday night, when the sky was clear and cloudless as the silver moon sailed above leafless branches, completing the winterscape shown here. In case you're wondering, the November full moon is called a Beaver Moon because it comes at the time when Native Americans and early colonists in the north set their beaver traps before the marshes froze. It’s also known as the Hunter’s Moon and Frost Moon.